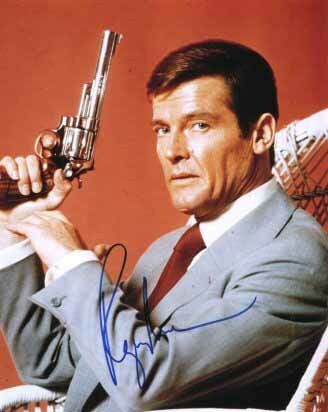 An Autographed Picture Of Sir Roger Moore. . Wallpaper and background images in the James Bond club. This James Bond photo might contain деловой костюм.